It doesn’t matter if you pronounce it SALmon or SAmon, there’s no denying that salmon is one ’ell of a fish, even for a non-fish-eater like me. And it’s one that stands up to a lot of strong flavors without getting lost in the mix. And one of my favorite ways is with a salty-sweet-sour flavor this recipe gives it. In a small bowl, combine oils, vinegar, soy sauce, sugar, garlic powder, and onion powder and whisk with a fork until well blended. 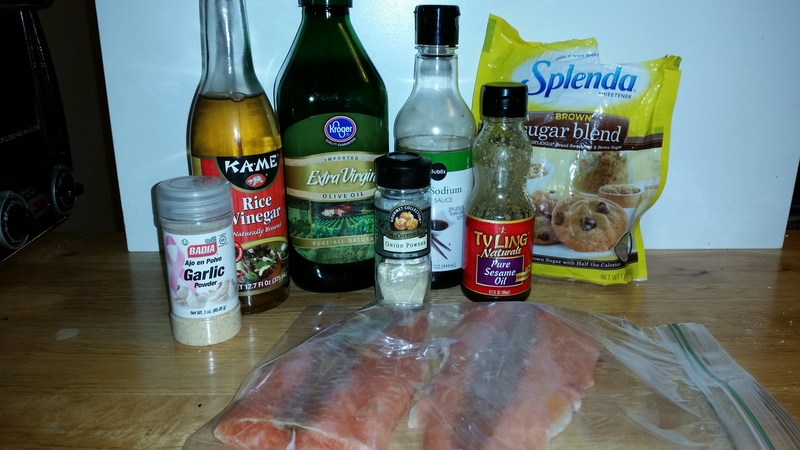 Place salmon fillets in plastic bag, then pour marinade in. Seal bag, removing as much air as possible, and gently smoosh around to completely coat fillets. Put in fridge and let marinate 30 minutes to 2 hours. The thickness of your salmon fillets will determine the amount of time to both marinate and to cook. The thinner they are, the shorter the amount of time. Preheat skillet over medium-high heat. 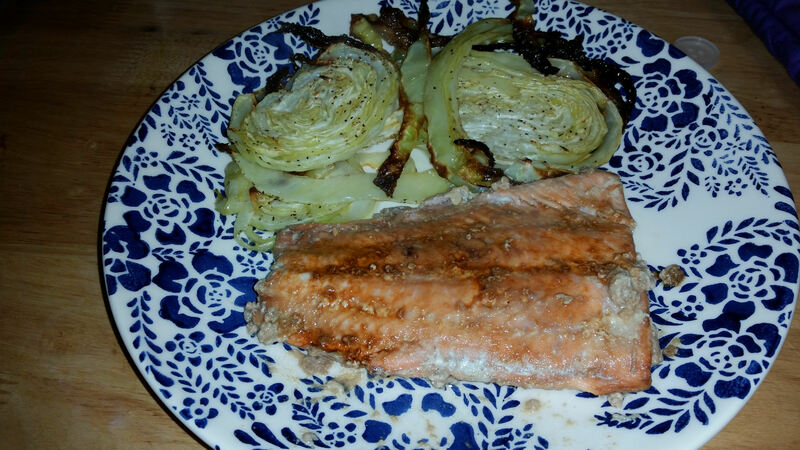 Once hot, add salmon fillets and cook to desired doneness (don’t overcook!). Serve with lemon wedges, if desired, but don’t forget to count carbs for the addition of lemon juice. Side dish suggestions: Sautéed Bok Choy or Roasted Cabbage Wheels.